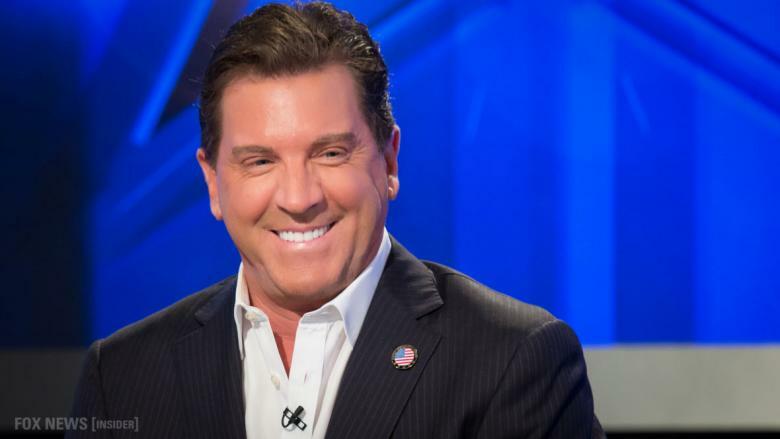 Eric Bolling is a conservative political commentator, former co-host of Fox’s The Five, and current co-host of The Fox News Specialists program. He’s also the author of two best-selling books, is married with one son, and has an adopted Shepherd-Lab named Freedom. Chuck Muth: Eric, welcome. Thank you for talking with us today. Eric Bolling: Well thank you for taking the time to talk about “The Swamp.” It’s amazing that the book comes out right in the middle of a whole bunch of swamp stuff going on. It’s been quite a wild ride. Thank you for having me. Chuck Muth: Most people know you as a strong conservative voice on various FOX News programs, but probably don’t know a lot about your background, including the fact that you started out as a professional baseball player. That’s a heck of a leap to conservative television celebrity. Tell us about that. Eric Bolling: It’s crazy, right? So I was playing college baseball at Rollins College in Florida. I got drafted in 1984 by the Pittsburgh Pirates. Shortly after that I blew my rotator cuff. I was a third basemen, I blew the rotator cuff and they cut me immediately. And I just didn’t know where I was gonna go; what I was gonna do. To make a long story short, I bounced around quite a bit and ended up in New York on a trading floor; an oil trading floor. It seemed to be a perfect fit. It was exciting, it was aggressive, it was kind of like baseball. And I spent the better part of 15 years trading. Well, somewhere along the line oil was trading higher and CNBC put a reporter on the trading floor and stuck a camera and a microphone in front of me and said, “What do you think is going on here?” And I gave them my best 90 seconds. So they called me up and said, “Would you come over here and come to big FOX?” And I said, “Sure.” That was a little over ten years ago now and it’s been quite a wild ride since I’ve been at FOX as well. Chuck Muth: I know when most people watch shows like yours they see conservative and liberal panelists just tearing into each other. And they don’t quite understand how you can do that on-air and yet still be friendly with them off the air. You particularly have such a relationship with former co-host Bob Beckel. Tell us a little about that relationship. So FOX had a blank spot at five and Ailes – the way it’s been reported – was a prior Broadway director and producer and wanted to produce the five o’clock hour the way he did on Broadway. He took a table and put five people around the table. He put a leading man in the middle. He put the girl-next-door, Dana, next to him. He put the funny guy on the end. And he put the smart, attractive lawyer-type on the other end. Then he put the liberal, who was kind of this Foster Brooks-type liberal, next to the middle seat. And that’s how he cast The Five. It ended up being great chemistry. We ended up getting along quite a bit. We traveled a lot together. When they decided The Five test was gonna be a real show we went and celebrated over across the street at Del Frisco’s Steakhouse with Roger Ailes, all the senior managers and the five of us. At some point Beckel chokes on a shrimp and he’s going out. He’s out; he’s turning purple. I just ran behind him and just pulled, and pulled, and pulled. About the third pull, on the Heimlich, the shrimp came out and he kind of slumped over, and he lived. And that was kind of a solidifying of my relationship with Beckel. The funny thing is, a lot of people who are just diehard conservative, right-wingers say, “Hey. Next time he chokes on a shrimp can you let him go?” No. No. No. No. No. No. Chuck Muth: Had you been trained in administering the Heimlich maneuver before this happened? And I end up pulling him out and end up having to administer CPR to that guy, too. He survived as well. I keep getting these things. I don’t know how. Chuck Muth: If I ever have an incident like that I hope you’re right next to me! You just have to go for it; not really think about, think twice. People who think twice tend to get passed by. So, yeah, it may be all a metaphor – one big metaphor for my life. Chuck Muth: Let’s talk about “The Swamp.” I’m not sure that everyone knows that Washington DC was, in fact, built on a swamp. Tell us what it’s like being in the swamp, literally. Eric Bolling: Well, so that’s the weird part. I’m researching for the book. I’m writing the book before Trump has even won, because I expect him to be the President. And I’m trying to figure out what the swamp’s gonna be like for him since he’s saying he’s gonna drain it. How bad is it going to be when he gets there? So I’m Googling “swamp” for a picture for the cover of the book. And a couple of pictures come up from 1860 in the National Archives of the construction of the Capitol Building. And turns out, that building was built on a literal swamp. I mean, it was a swamp. There’s all this murky water, and there’s some vines, and old trees, and there’s an old burned-out canoe off to the side. And the dome hasn’t even been placed on top of the Capitol building yet. Now, I was so captured by this picture, it felt like it was some sort of sign that this was the right book at the right time. And it really helped me go forward. I put the pictures in the book – inside cover and backside cover – of that 1860 photograph of the DC Capitol being built on the swamp. That’s how important it was to me. I realized they drained a literal swamp to build the Capitol but they left the metaphorical swamp to fester. And that’s what Trump’s seeing. He’s got quite a bit of work cut out for him. Chuck Muth: That “drain the swamp” slogan during the campaign caught on. Conservatives understood what he meant immediately. But for those who don’t live “inside the Beltway,” what exactly does it mean? Eric Bolling: Well, I was blown away with how much I found. I just started doing some research. And it turns out there’s so much money slushing around DC, and it’s literally changing senator’s and congressman’s votes. Because they want to get re-elected. They want their campaign coffers to grow. They like the wining and dining that lobbyists are willing to do. So a big part of the book is the lobbying efforts. And it’s just pretty despicable when you see what’s going on there. You realize you’re not being represented at all as a voter and taxpayer. It’s all about them getting re-elected. And virtually everyone is up for sale in DC. It’s pretty sad. I started going further and further back. And it turns out this kind of activity goes back all the way since the beginning of the republic. It’s just become a lot more profitable to these people now because there’s a lot more money flowing around. There were elected officials who tried to sell portions of Florida to a foreign government. Another elected official bought some land in Texas when it wasn’t part of the United States just so he could push to have it become part of the Union and then capitalize on it for him and his family. Those types of dealings throughout time are just unbelievable, and it’s great reading. But then you realize it’s our money that they’re talking about. And they’re stealing from us. So I wanted to end the book with some recommendations to Donald Trump himself, the President. I’m very friendly with him; I speak to him quite often. I was at the Oval Office May 1st, before the book was even printed. I gave him the manuscript and asked him to take a look at it. And sure enough, on launch day, June 27th, he tweeted about the book. So, understand that the recommendations in the book were certainly seen and discussed with the President of the United States. Chuck Muth: Give us an example. What’s one of the recommendations you make? Eric Bolling: Well, one – for some reason, I don’t even think it’s one of the most important, but it seems to get the most buzz and controversy – is I recommend, and I’ve told him this personally, that he continue to tweet. I understand it makes a lot of people on the left, and maybe some people on the right, crazy when he does. And some of the things he tweets bothers people. But I like to know. See, I hated the lack of transparency that the Obama administration had. I just want to know what they’re thinking about, what they’re doing, what they’re talking about behind the scenes. Trump does it. Sometimes he does it and it bothers his own advisors. But I like that. That means you’re really getting it straight from the horse’s mouth. And I think we need to continue that. I love the idea of that, more transparency. So I think the big recommendation – he and I have talked about this a lot – is that he continues tweeting. I also go through some other ideas that we’ve chatted about. Continue to treat the country the way you would a corporation. Use the Oval Office like you would a boardroom. And that means get rid of the people who aren’t producing. Keep the ones who are. Put them in more prominent positions. And certainly put the country before your own personal needs. Think about when Donald Trump came into office. One of the first things he said was, “How much are these two new airplanes that I didn’t even order? How much are they gonna cost the American taxpayer?” And he got the price down. Now, he’s the one who’s gonna be flying around on these jets. Yet he gets the price down for the American taxpayer. That’s what a CEO would do. And I’m happy he’s acting like the Commander and Chief, but also Chief Executive Officer of the United States. Chuck Muth: You were actually considered for a slot in the administration after he was elected. How did you meet Donald Trump and how did you develop your relationship with him? There was gonna be like a cocktail party and fundraiser-type charity auction. So I went out. And when you do those things you end up meeting Mr. Trump and you talk a little bit. And over the years – I had done the event several years in a row – and we talked a lot. We’d meet in certain circles in New York. Then I started hosting FOX. And he would come on and always say to me, “Eric, you know, you and I are both business guys and we see things the same way.” And over the years I realized that this is the kind of guy I’d like to see running for President. To make a long story short, I was there the day he decided to run. And I stuck with him throughout the campaign, even when there were a lot of bumps in the road. And he always remembered that. He’s a very loyal friend and he’s a very loyal acquaintance and he remembers all of that stuff. Chuck Muth: You’re gonna be speaking at the REAL Chamber of Commerce dinner on July 29th in Las Vegas. And I read somewhere on social media that Vegas isn’t new to you. I believe you’ve volunteered in the past to serve Thanksgiving dinners at the Las Vegas Rescue Mission. Tell us a little bit about your history with Las Vegas before we wrap up. Eric Bolling: Well, I’d been going to Vegas for many, many, many years – maybe the better part of two decades. Just spending some time out there and enjoying it. I bring my wife and son out there. But as my son was getting a little bit older, I wanted him to understand what it means to give back, to be charitable, and to be compassionate. And one of the ways – my wife’s idea actually – she said, “Why don’t we volunteer some time at the Las Vegas Rescue Mission.” And she set it up. So – I don’t know the exact number, but maybe three or four Thanksgiving times – my wife, myself, and my son, all three of us went to the Las Vegas Rescue Mission and spent the day, Thanksgiving day, serving meals to the homeless. And it’s so – it’s just unbelievable. We have such compassion; we have such love for people who have need. And it’s something I really needed to teach my son. And he really responded well, too. First time we did it, he was like, “What are we doing here?” By the end of that day he was just amazed from sitting, talking to people, hanging out, understanding how life’s bumps in the road can take you off one path and lead you on another path. So it’s a very important time in his life. He’s now a freshman at the University of Colorado Boulder. And we hope to continue doing this going forward. Chuck Muth: Eric, thank you very much for taking some time with us. Congratulations on the early success of “The Swamp.” And we all look forward to seeing you on July 29th in Las Vegas. Eric Bolling: I can’t wait to see everybody. It’s gonna be great.